This site has many weight loss tools for you to use....and they are all free. If you are looking to lose weight, then you probably also want to find the right tools. Here you will find many online calculators and gadgets to help you lose weight. Many are specific to Weight Watchers plans like SmartPoints and Points Plus. In addition to the online tools, you can download an offline file to help you with your progress. The offline tools include downloadable spreadsheets for tracking points, calories and more or printable PDF files. Just scroll through this page to find the tool that's right for you. Use the links below to view the specific type of tool you are looking for. There are several Weight Watchers online calculators on this site. Below are the links along with a brief description of what this tool will do. In addition, there are a couple of points tracker spreadsheets you can download. One will work with all systems (SmartPoints, Plus and original) and the other is specifically designed for the new FreeStyle Plan with roll over points. This weight loss tool is specific to counting SmartPoints. To get the proper values, you must have all the nutritional information in the calculator. These are calories, saturated fats, sugar and protein. If you are now on the Freestyle plan, remember there are over 200 foods that are zero points and don't require you to calculate the value. Check out the full list here. You can download this spreadsheet and track your SmartPoints offline. This tools is designed specifically for the FreeStyle plan. The formulas are designed to track your daily and weekly allowance. You can even plug in your FitPoints earned. What makes this a freestyle tracker is that it will automatically roll over unused points (up to 4 only) each day adding to your weekly allowance available. If you are still using the Plus plan, then this is the online calculator for you. With this one you will need to know the total fat, carbohydrates, fiber and protein. Like with the original plan, if you don't have fiber information just plug in zero. All the others are required. You don't have to calculate points plus values for these zero point plus foods. This weight loss tool calculates the number of points you earned for your workout. This works with both the points plan and the original plan. Unfortunately this does not work for the FreeStyle SmartPoints plan. If you are free styling your weight loss, then you will have to use the WW website online tools, sync your fitbit (or similar tool) or get the information from your Weight Watchers leader. The FitPoints is the name used for your activity on this plan and is personalized for you, so there is no standard calculation. If you have not switched to the freestyle plan, then this tracker will work for you. It also tracks for the Plus plan and the original plan. Just plug in your numbers (daily and weekly allowance) and add your foods and the formulas will make the changes to your points used. If you have switched to the FreeStyle plan but don't want to use any roll-over points, then this weight loss tool will work for you as it won't do the roll over. This online calculator is only for the Points Plus plan. This will tell you the daily allowance you get based on gender, age, weight and height. If you have moved on to the SmartPoinst plan, then you know the daily allowance is individualized and you can only get this number from Weight Watchers (online or from your leader). This calculator is for the original Weight Watchers plan only. It uses Calories, Total Fat and Fiber to find the values. If you don't have fiber information, just use zero. This will give you a close approximation. You must have the other two nutrients to the points. This is not a tool but rather an article that will guide you to figure out your allowance for the original Weight Watchers program. You will get so many points for gender, age, height, weight and activity level. Just add up all the points for each of those and you will have your daily allowance. The weekly allowance on this plan was a standard 35 points for everyone. Below is a list (with links) to the online weight loss tools on this site. These are mostly calculators, however, there are a couple of gadgets that will help you. This calculator is one of the best weight loss tools on the site. That's because it not only tells you how many calories you need to lose weight, it will show you how long (approximately) it will take. It also warns you if you are reducing calories too much for it to be a healthy weight loss. 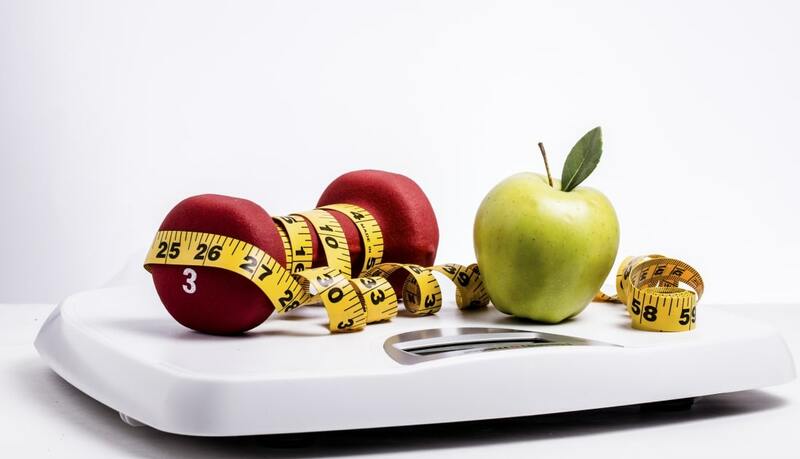 Find out your Body Mass Index with this online weight loss tool. BMI is used as a screening tool to identify potential health risks related to weight concerns. Calculates your Basel Metabolic Rate which is the rate you burn calories while at rest, like sleeping. This calculator will help you determine the number of calories you should consume per day to maintain your weight. What's your ideal body weight? Find out with this tool. Just answer a few questions and you will get your results. Look up foods to get the nutrition information with this online calculator. Then hop over to one of the Weight Watchers calculators to find out the points value. Or use the information to track calories, fats, carbs or more. This weight loss tool tells you how many grams of fat, protein and carbs you should eat based on your calorie needs. Find out how many calories you burned from exercise, sports or fun activities. There are hundreds of different activities to select from so no matter what your doing to stay active, you will be able to find out how many calories you burned. Staying heart healthy is important for so many reasons. Working out within your zone ensures you are being heart healthy. So workout within your zone by using this tool. The offline tools are primarily spreadsheets (in zip file format) and pdf files. The excel spreadsheets are the most useful and interactive. These spreadsheets are Microsoft Excel. If you don't have this program, the free OpenOffice tool will work for these files. Track your weight loss progress with this downloadable Calorie Intake Chart. TThe Excel version also has daily charts which track your daily calorie intake, daily calories burned and your calorie deficit. This weight loss chart allows you to track your weight, your measurements and your body fat. There is an Excel file that allows for up to 24 weeks of tracking and a PDF weight loss chart that allows you to track weekly for up to 26 weeks. Track your glucose readings with this free downloadable spreadsheet. You can also track the foods you eat and the nutrition information. Check out the list of free fitness videos on this site for even more free tools to help you lose weight. Find out what support groups are best for you and get additional tips from members on how to lose weight. Before using these weight loss tools, check out this getting started guide to help you start getting fit and healthy.